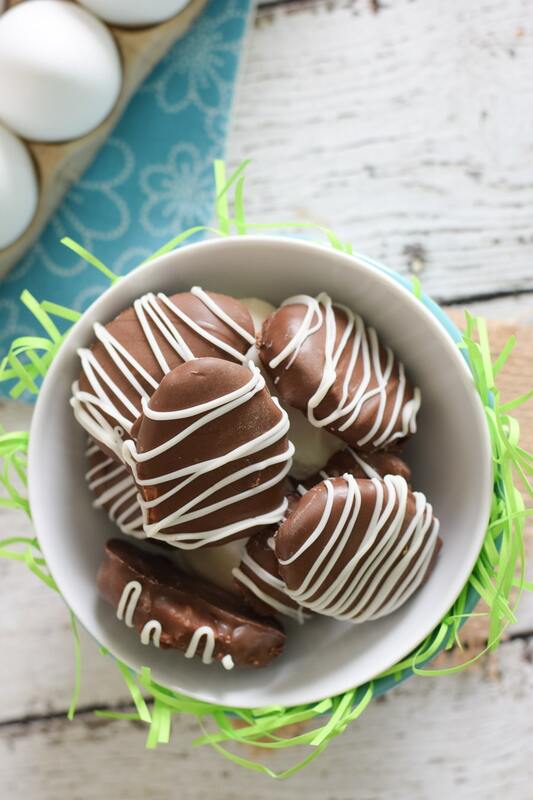 With just four basic ingredients, these homemade peanut butter eggs are super easy to whip up for Easter! Anything with peanut butter is always a favorite of mine. I was always that kid that took a PB&J sandwich for lunch – even when I became a teacher, it was still a favorite of mine to bring to school. And if you add chocolate into the peanut butter mix, YUM! Not on the sandwich, of course…but in treats! 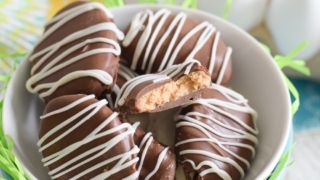 One of my favorite Easter treats are the Reese’s Peanut Butter Eggs. I always love a good peanut butter cup, but there’s just something about those eggs that make them taste extra delicious! So when I came across a recipe from It’s Always Autumn for homemade peanut butter eggs, I knew I just had to give them a try! 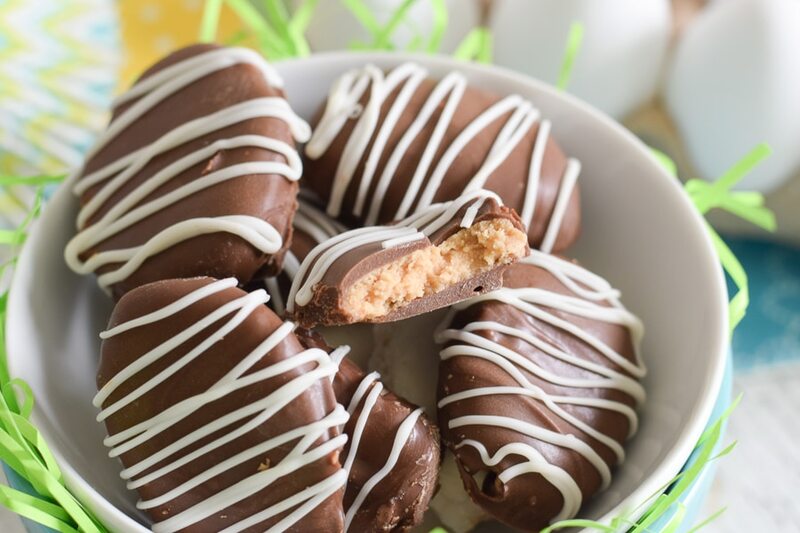 Using just a few basic ingredients that I already had in my pantry, these peanut butter eggs were much easier to make than I thought they would be, plus they taste so much like the real thing! In a bowl, mix the peanut butter, powered sugar, and butter together until smooth and creamy. Place the bowl in freezer for about 5-10 minutes to make dough easier to work with. 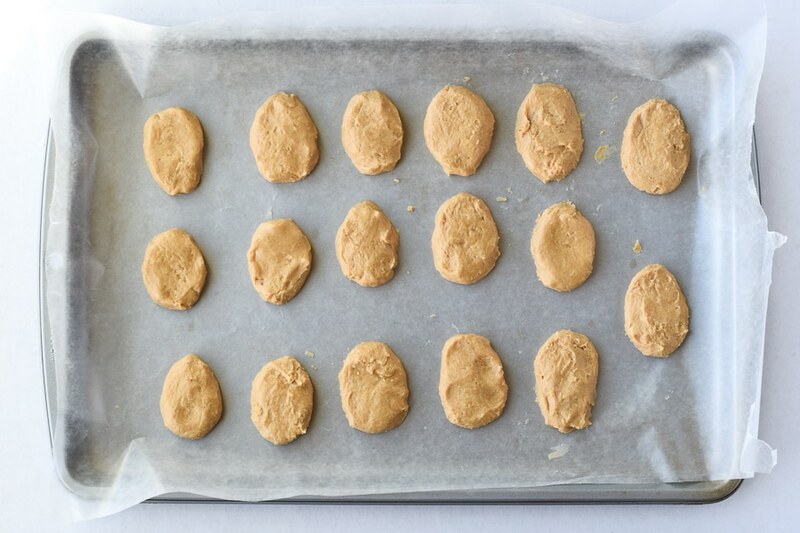 Shape about a tablespoon of chilled peanut butter dough into eggs, place on a cookie sheet covered in wax paper. Place the whole cookie sheet with eggs into the freezer and chill for about 10 minutes. Melt the chocolate bark or chips in a microwave safe bowl. 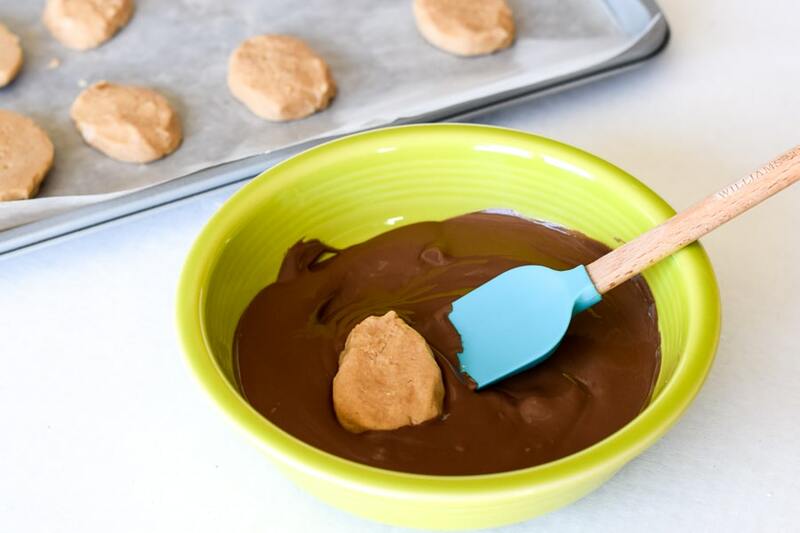 Place a peanut butter egg into the melted chocolate and flip over so the whole thing is covered. I found it easiest to use a spoon to cover the egg with chocolate and then use a fork slide under the egg to remove it from the chocolate. 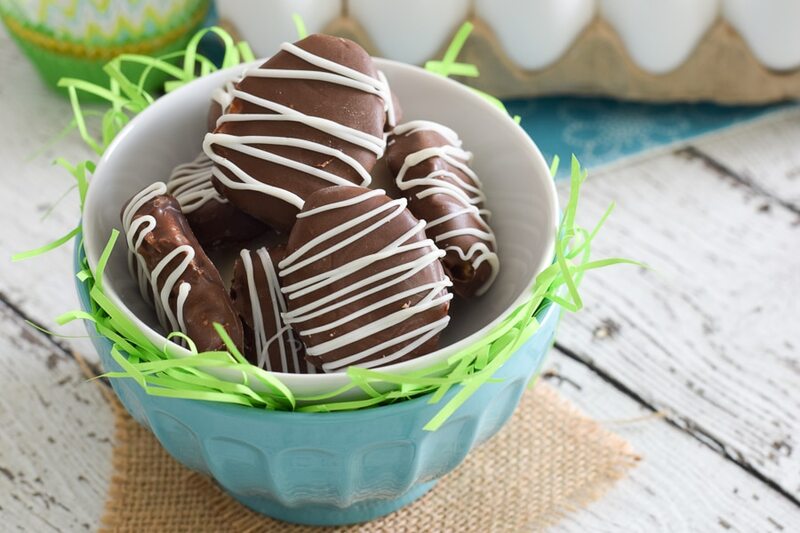 Place chocolate covered eggs onto the wax paper. Allow chocolate to harden, you can also pop them into the fridge to help speed up the process. 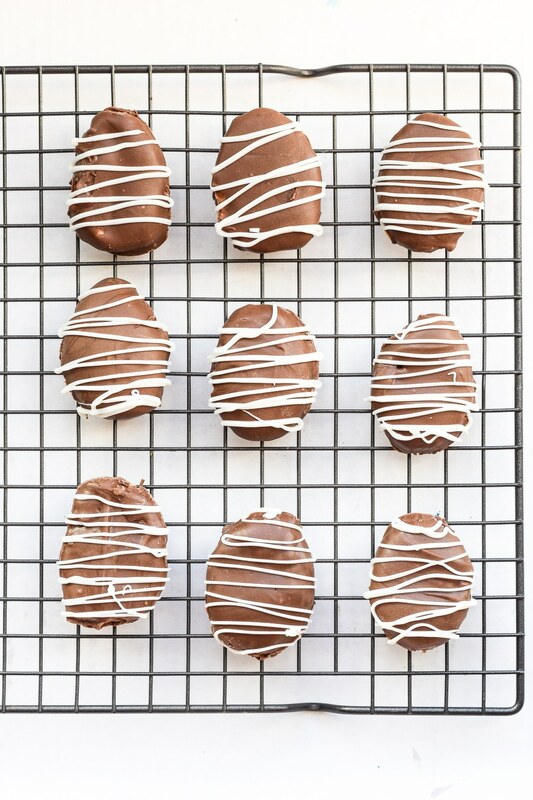 I decided to add a little white chocolate to my eggs, so I melted some chocolate in a ziplock baggie, snipped off a little bit of the corner and used the bag to pipe some white chocolate stripes on the eggs. If there happen to be any peanut butter eggs left over after enjoying this delicious treat, keep them in an airtight container. But I bet they won’t last too long because they are seriously that good! Mix together butter, powdered sugar, and peanut butter until smooth. Chill in freezer for about 10 minutes. Using about a tablespoon of dough, shape into an egg and place on a cookie sheet covered in wax paper. Place cookie sheet into freezer to chill dough for about 10 minutes. 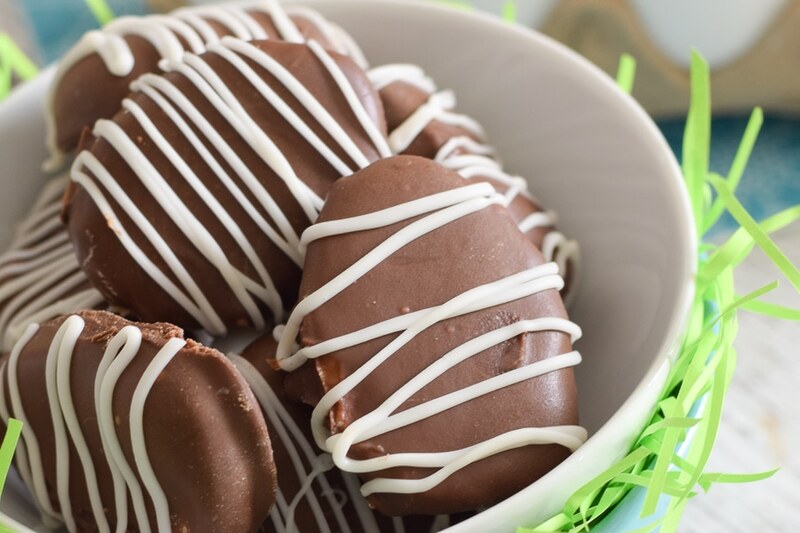 Dip eggs into chocolate, covering all sides. Place on wax paper to allow chocolate to harden.